I picked spearmint early this morning. It’s in the dehydrator now. I enjoy the tea so much in the winter. I planted the spearmint 2 years ago and it has spread nicely. 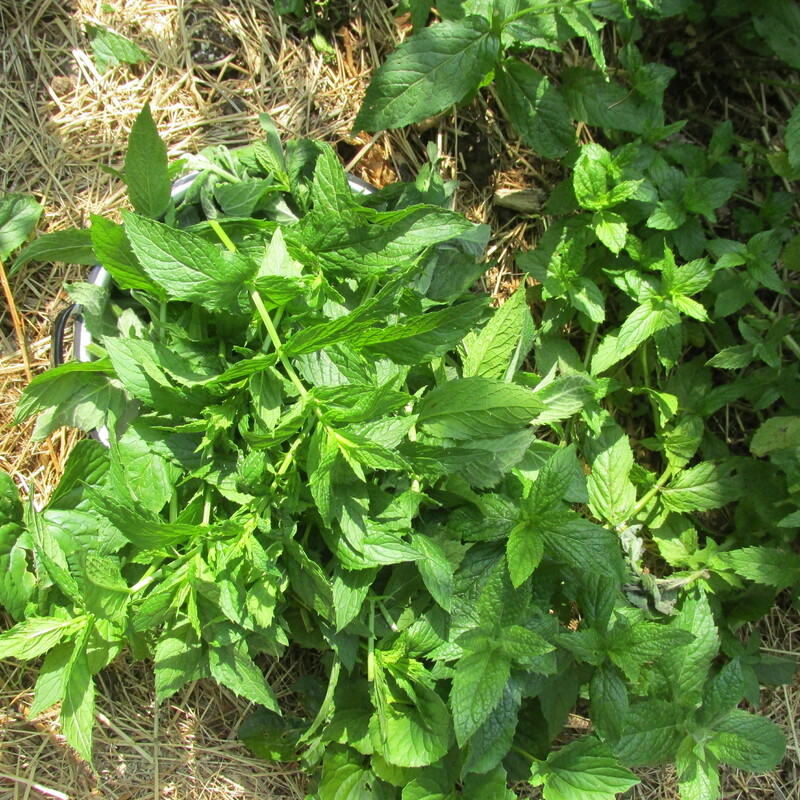 It is half a yard away from the peppermint so it’s a true spearmint. My friend Deb is multi-talented. When she first told me about the Sailor Valentine class I vaguely remember a history class where that was talked about. They were originally made between 1830 and the 1890’s. Some of these still can be found in antique shops. Sailors often brought these shell craft souvenirs home for their loved ones. They have come into vogue again and now there is workshops where you can learn this art form. As you can imagine it is a time-consuming process with delicate shells that form patterns. The end results are exquisite. The following pictures are examples of Debbie’s work. Today is my grand-daughter Tea’s 16th birthday. Where did the time go……. Its hot and humid here and we are in for quite a few more days of it, summer has arrived. My friend Susan’s son is a fire-jumper and has just traveled to Alaska to fight a huge fire there. We love mint but have trouble growing it, this year we bought a pot from a garden centre and planted it into a container, it’s thriving and has taken over the container yet we used soil from the garden where it wont grow, very strange. A timely reminder to pick and dry the wild mint that grows in abundance here!